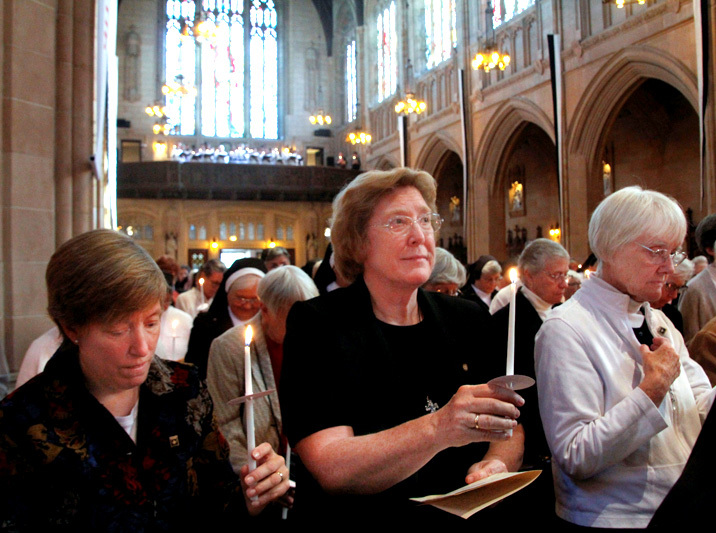 The sisters shared a Dominican blessing with candle lighting at the Oct. 31 Mass at St. Dominic’s Church in San Francisco. Saturday, October 31 was more than Halloween in San Francisco for Dominican friars, nuns, sisters, laity, and friends. It was the culmination of a year of collaborative planning. When it was learned that the Master of the Order, Fr. Bruno Cadoré, would be visiting the Western Province, it was decided to start off the 800th jubilee celebration a little early! 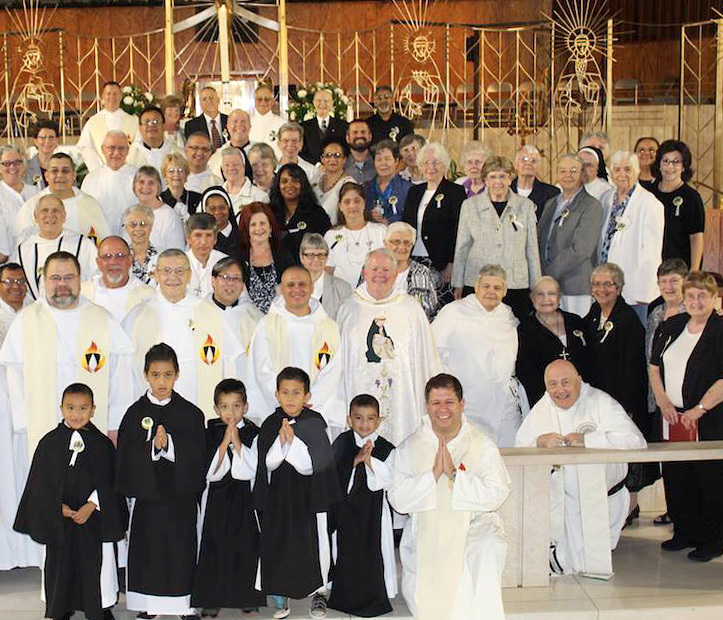 A small committee from the province, the San Rafael sisters and the Mission San Jose sisters decided to host a Mass and reception. The choice of location was particularly special: the first St. Dominic’s Church was built in San Francisco in 1873. This celebration was held in the fourth church that was built in the English Gothic style in 1928 and has been extensively and lovingly restored over the years. On Saturday the church was full to its capacity of 800+ people – and with the sheer joy of being together for such a momentous anniversary. We worshipped, prayed, received Eucharist, and sang together as the family that St. Dominic envisioned. We could well imagine Archbishop Joseph Alemany, Mother Mary Goemaere, and Fr. Sadoc Vilarrasa, the first three Dominicans to arrive in San Francisco in 1850, smiling at the spectacle. Afterwards on the sunny, crisp fall day, all repaired to a beautiful black and white tent set up in the church parking lot for refreshments and fond greetings. It was a magnificent celebration on the West Coast! The DSC staff met Nov. 18–19 in Chicago (River Forest). We enjoyed the opportunity to visit the McGreal Center at Dominican University which is right in the neighborhood. 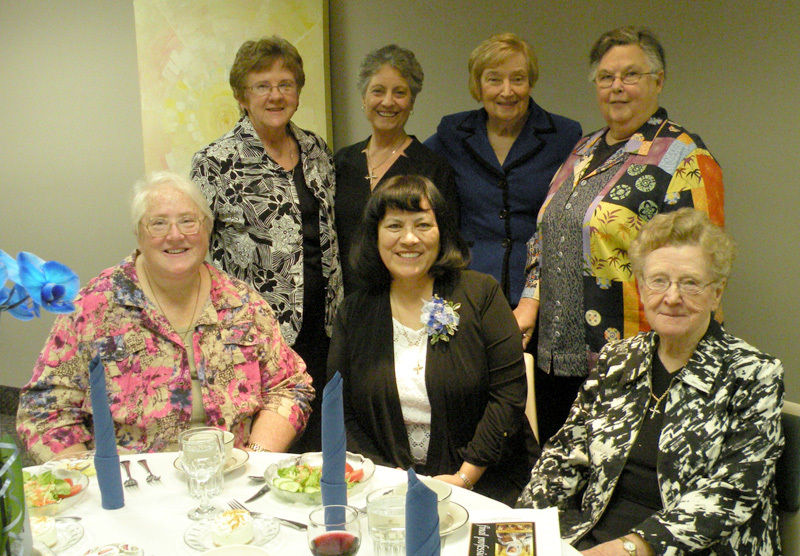 From left: Sister Patricia Farrell, OP, DSC executive director; Susan Oxley, DomLife editor; Sister Janet Welsh, OP, McGreal Center director; Sister Margaret Mayce, OP, UN-NGO representative for the DLC; and Cassie Vazquez, DSC administrative assistant. It is a bittersweet experience, working on my last Dominican Life | USA update. When I was hired by the Dominican Leadership Conference (now the Dominican Sisters Conference), I was also coordinator for the National Communicators Network for Women Religious (NCNWR). I have continued in both roles, which are complementary in many ways. In seven years with DSC and 11 years with CWR (NCNWR changed its name to Communicators for Women Religious in 2013, to better reflect the organization’s international membership), I have had the opportunity and the privilege of working with Catholic sisters and lay employees from a variety of congregations. My “formative” years working in the communications office for the School Sisters of St. Francis in Milwaukee, Wisconsin (1995–1998 and 2000–2003) brought me to an understanding of the mission and ministries of Catholic sisters today, and inspired and motivated me to want to tell their stories to the world. I took on the role of DomLife editor when my son was 3 years old. Now he is 10 and in the fifth grade at Williams Bay Elementary School, Williams Bay, Wisconsin. He is old enough to understand now that I work for “Catholic sisters,” but he does not really know what this means, or what vowed religious life is all about. This is not uncommon for his generation, or in that matter for the general public. This lack of awareness of who Catholic sisters are today is something that the Conrad N. Hilton Catholic Sisters Initiative is working to impact through a strategic focus on “building the global sisterhood.” CWR is an active partner in this collaborative effort. I am excited to be able to dedicate myself full time to my expanding role as CWR coordinator, and to be part of a broad vision for supporting and promoting Catholic sisters and their ministries throughout the world. I am leaving DomLife in excellent hands. Cassie Vazquez in the DSC office will be taking on the role of editor. Cassie has a bachelor’s degree in English and a master’s in library and information science from Dominican University, River Forest, Illinois. She previously worked as a special collection archivist at the McGreal Center for Dominican Historical Studies at Dominican University. Cassie works with DSC Executive Director Sister Pat Farrell, OP (San Rafael) in the DSC office in River Forest. It has been a joy and a privilege to serve as editor of Dominican Life | USA. 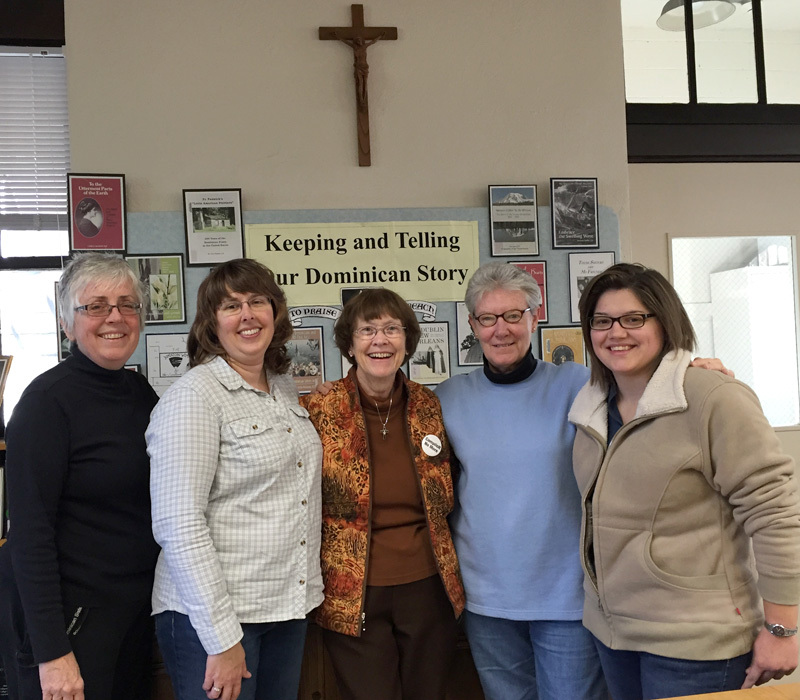 Thank you for helping me to tell the stories of the Dominican family! Members of the Dominican Family on Nov. 7 at St. Dominic Church in New Orleans at the Mass for the Opening of the Jubilee Year, celebrating the 800th Anniversary of the Order.